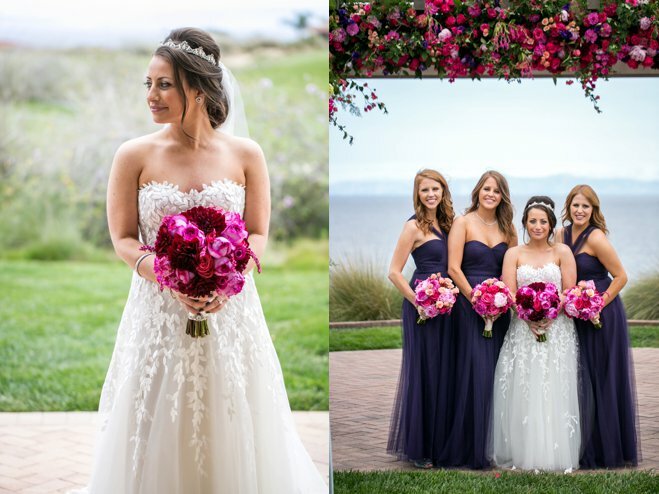 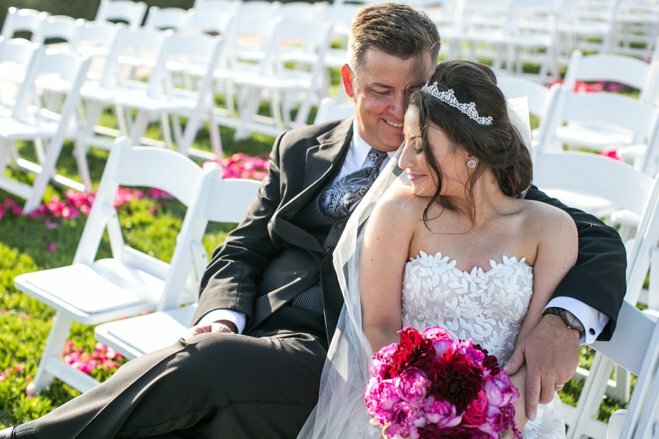 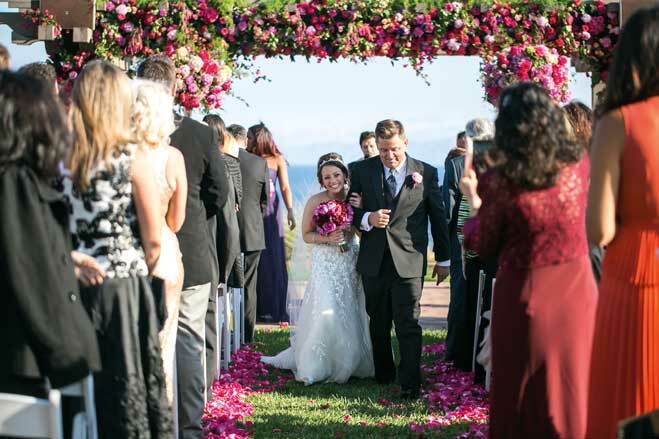 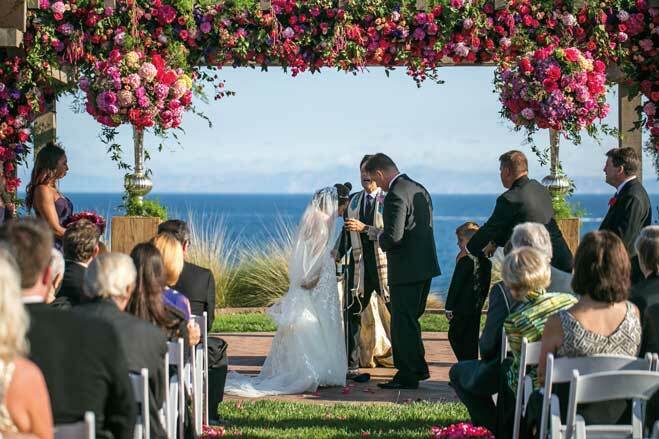 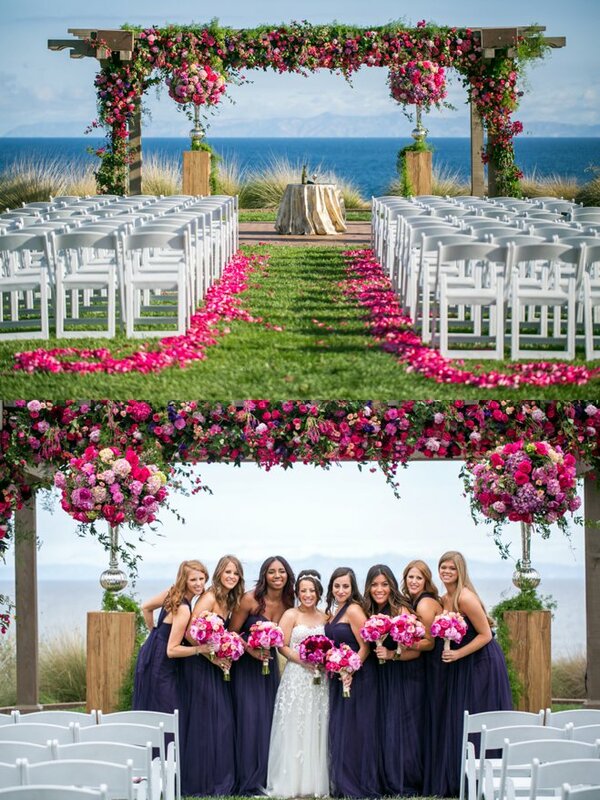 Lauren and Mike said their vows on Terranea Resort's Catalina Point underneath an altar decadently draped with brightly hued florals as the Pacific Ocean sparkled in the background. 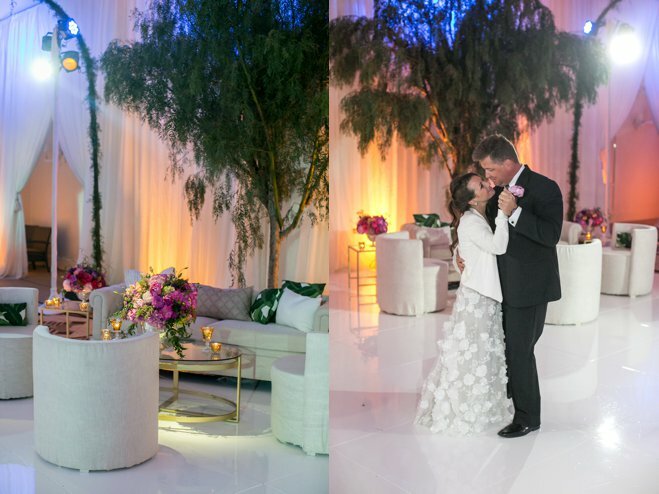 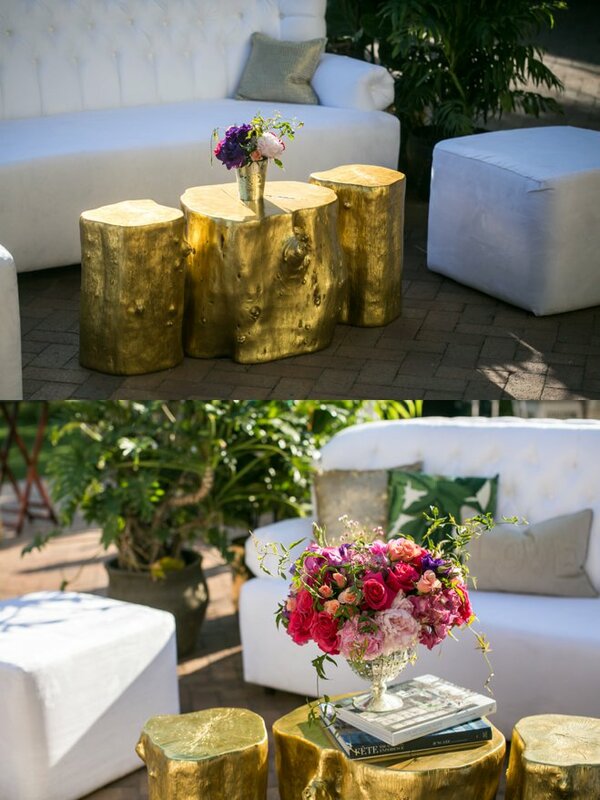 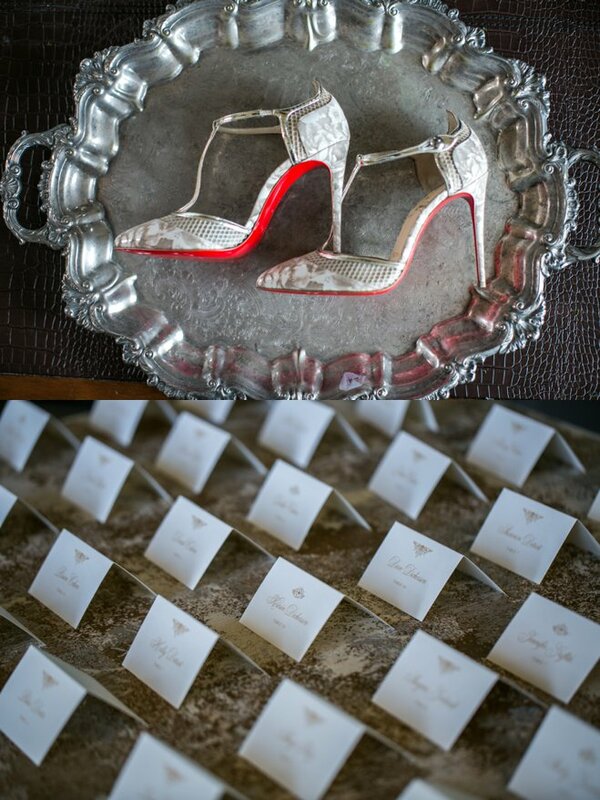 Tall mercury glass vases filled with vibrant blooms atop wooden blocks flanked the couple. 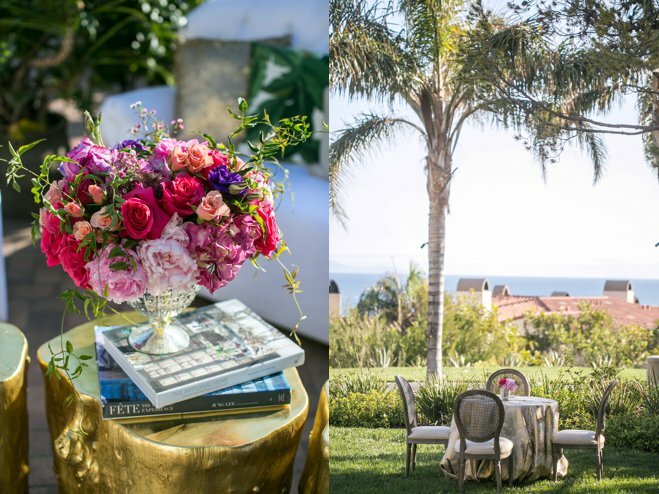 Because her guests were traveling to California from all over the country, Lauren wanted the wedding to evoke a tropical vacation. 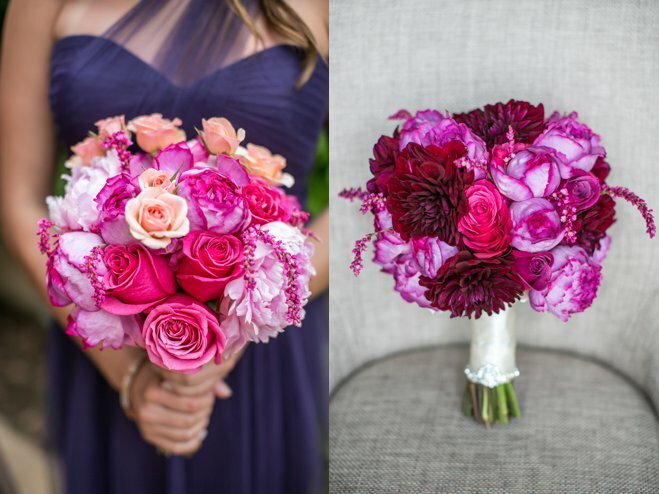 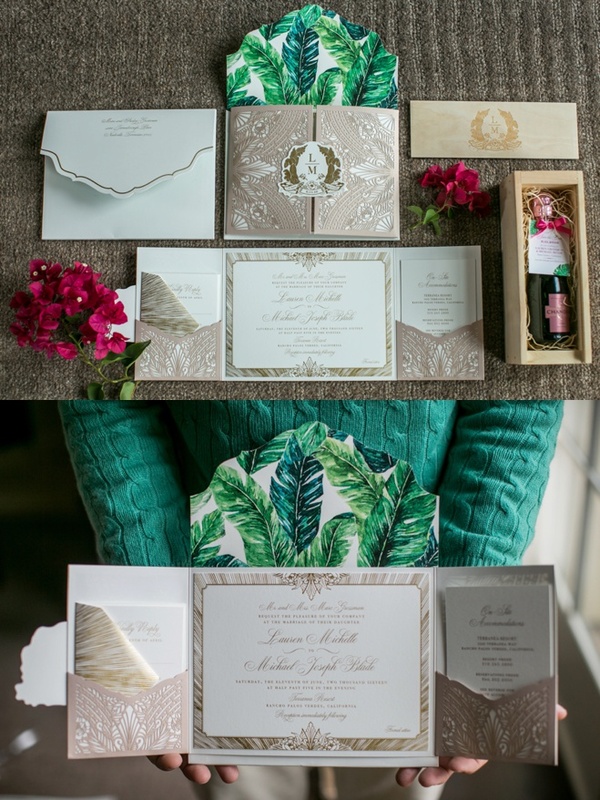 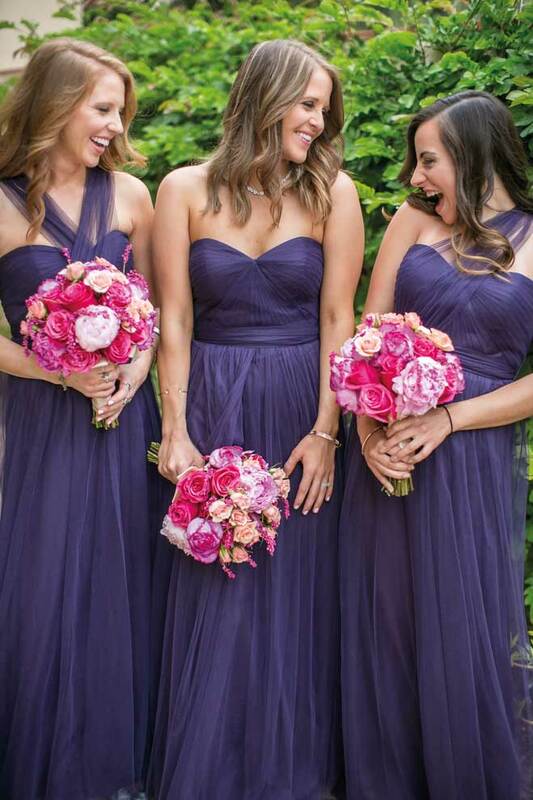 Inspired by Lauren’s vivacious personality and her love of sunsets, A Good Affair’s Natalie Good opted for a bold color palette of pinks, tangerines, purples and lush greens. 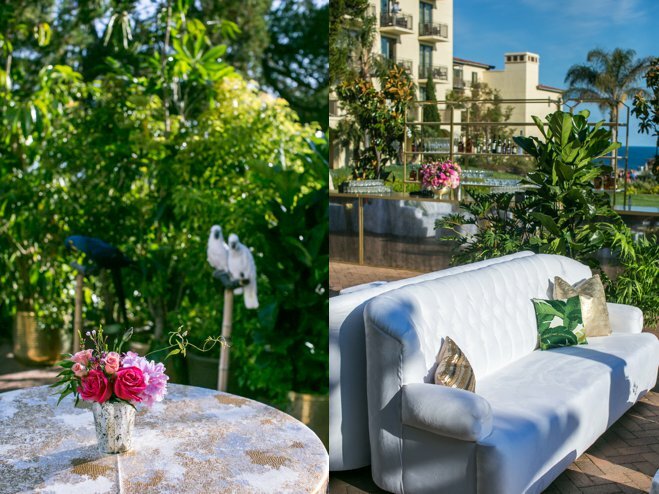 After the ceremony, guests were invited to a cocktail hour featuring a visit from exotic birds! 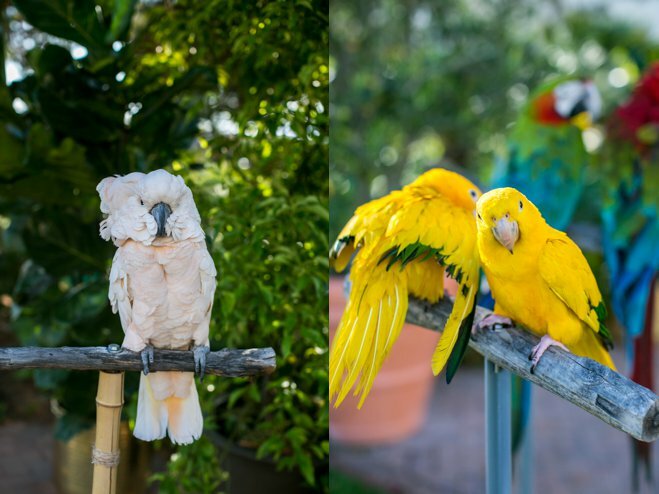 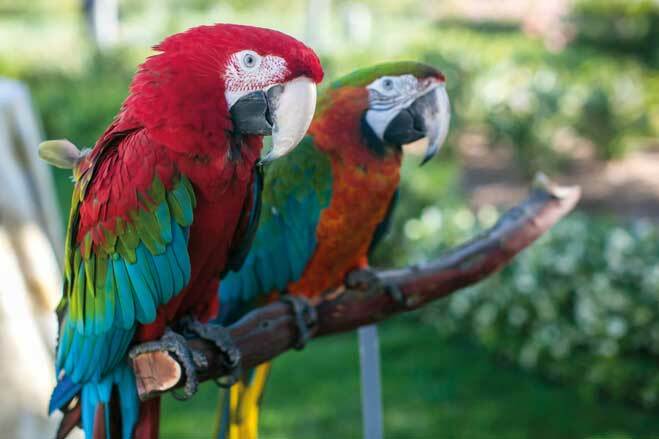 The guests were able to hold and take photos with cockatoos, parrots and other feathered friends, creating a fun beginning to the night. 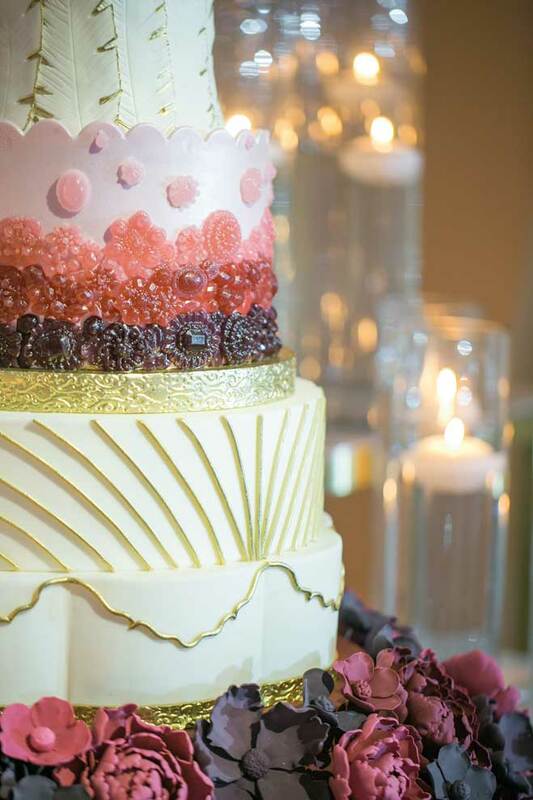 The winged creatures also were an inspiration for the five-tiered wedding cake, which boasted poured sugar gem flowers and gold-gilded fondant feathers. 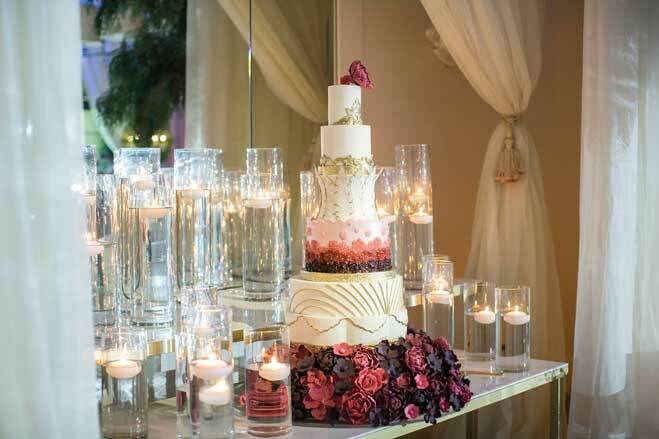 A statement piece in its own right, the cake was placed on tiered gold tables and nestled among an abundance of floating candles. 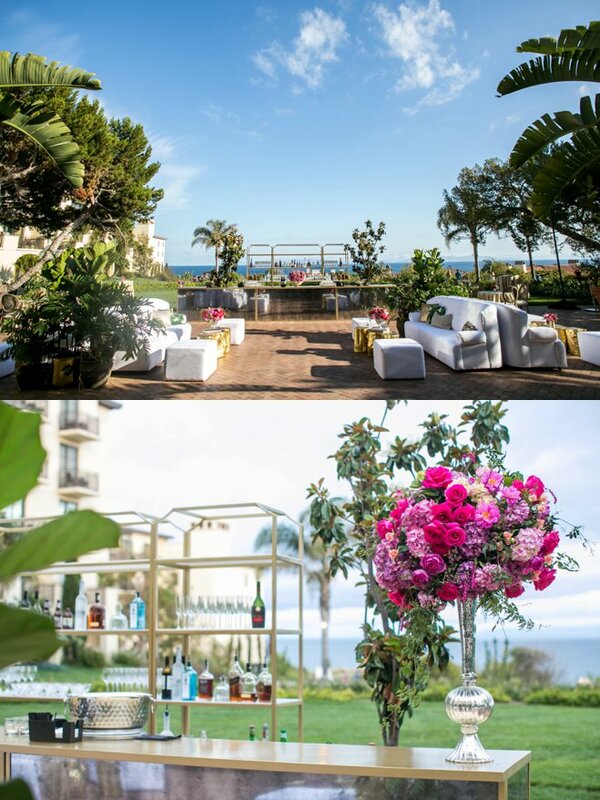 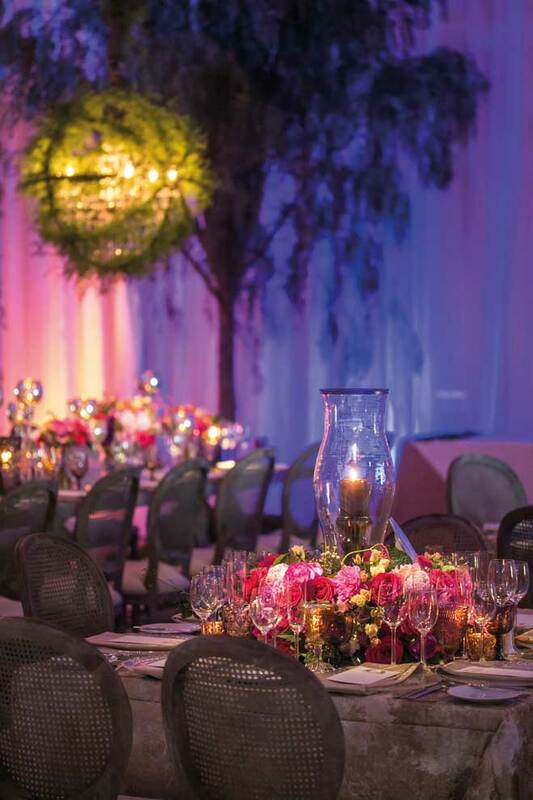 The Catalina Ballroom was filled with dramatic uplighting in ombré sunset hues. 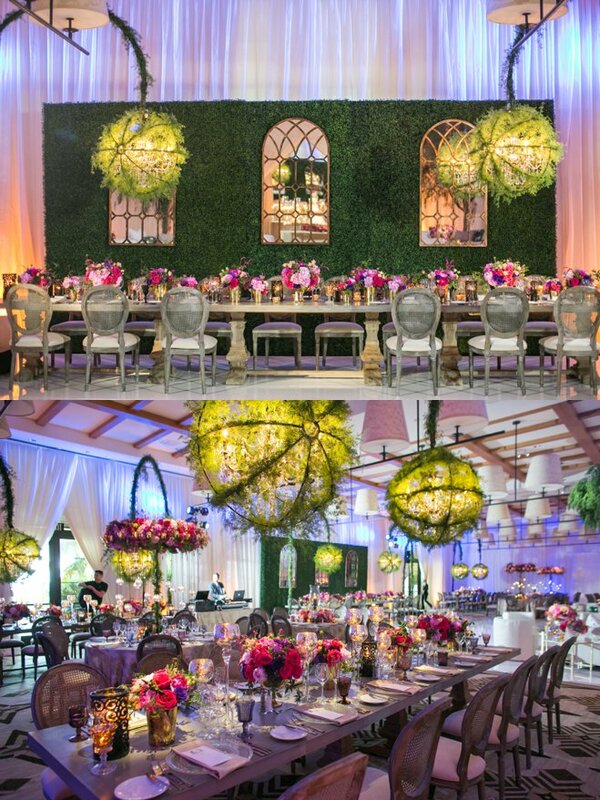 The tables featured lush centerpieces of boldly colored hydrangea, roses, peonies, bougainvillea and garden roses arranged in mercury glass vases. 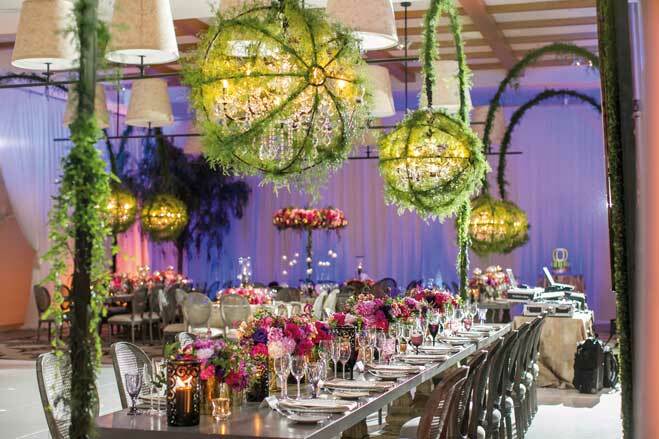 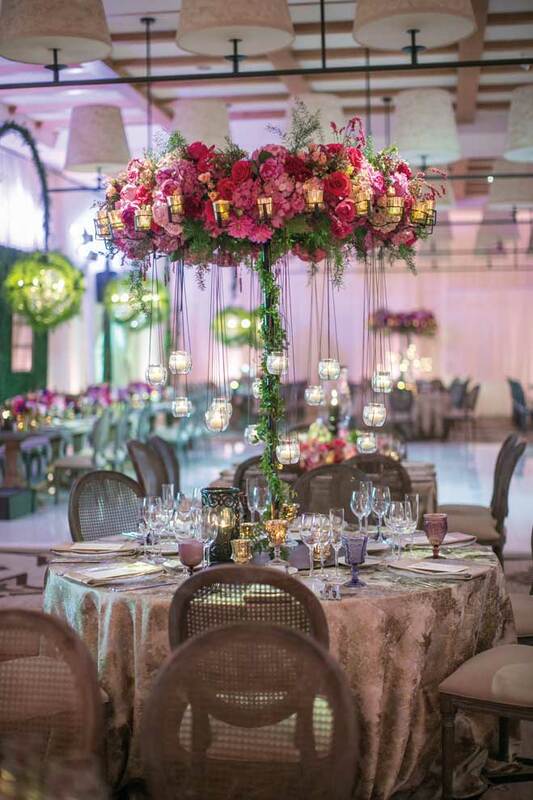 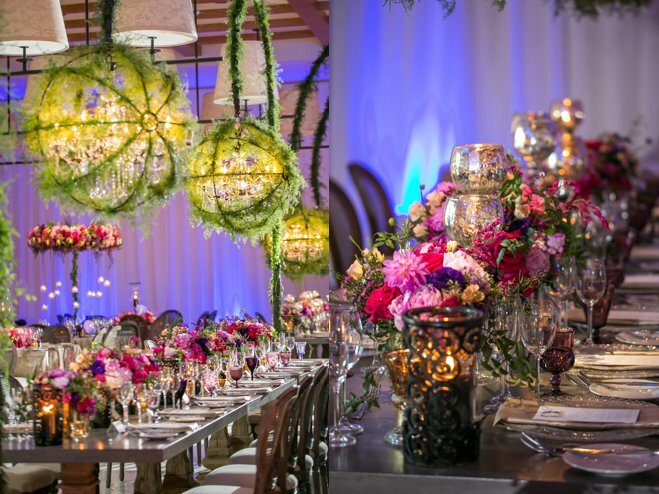 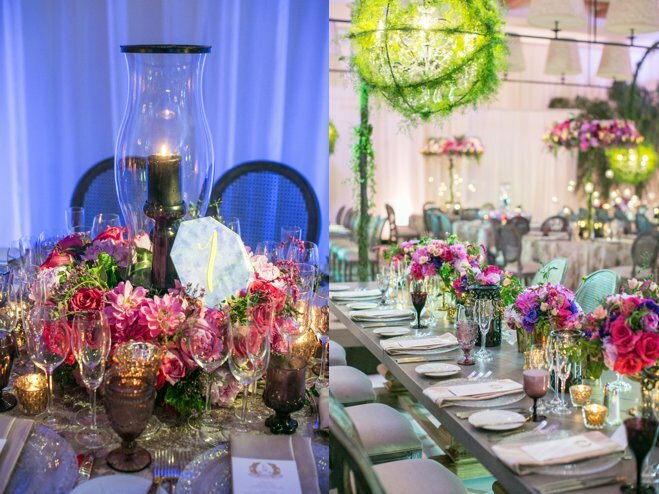 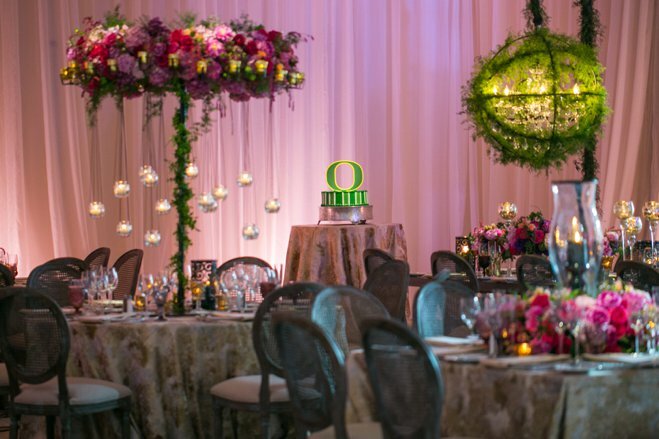 Delicate orb chandeliers draped in greenery added an exotic touch, while pepper berry trees created a romantic feel. 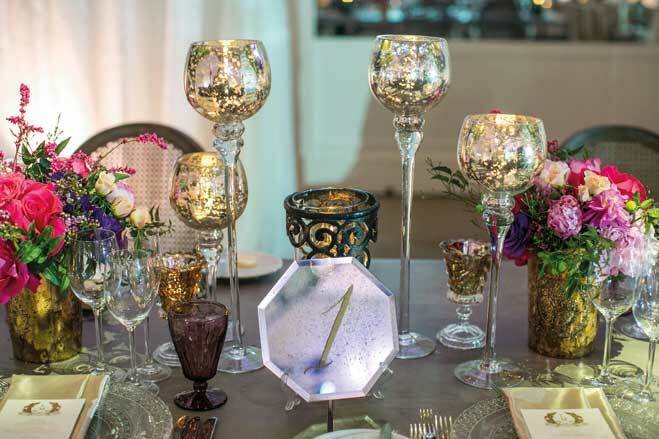 Mercury mirrors imbued the space with glamour, from the mirrors mounted on a hedge wall behind the head table to the custom-built bar.